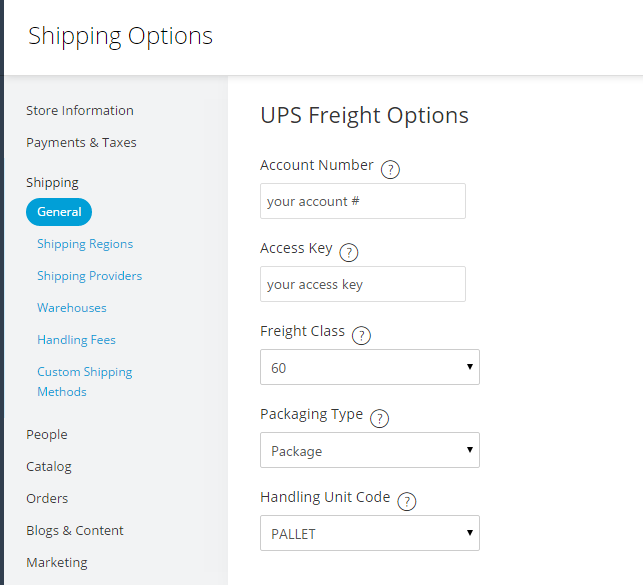 After completing this setup, UPSFreight live shipping rates will be available as a shipping option on your store. Note: You will need a UPS username and password, account and access key. If you do not have these credentials sign up for a My UPS account or visit ups.com for more information. Sign into your ups.com account. 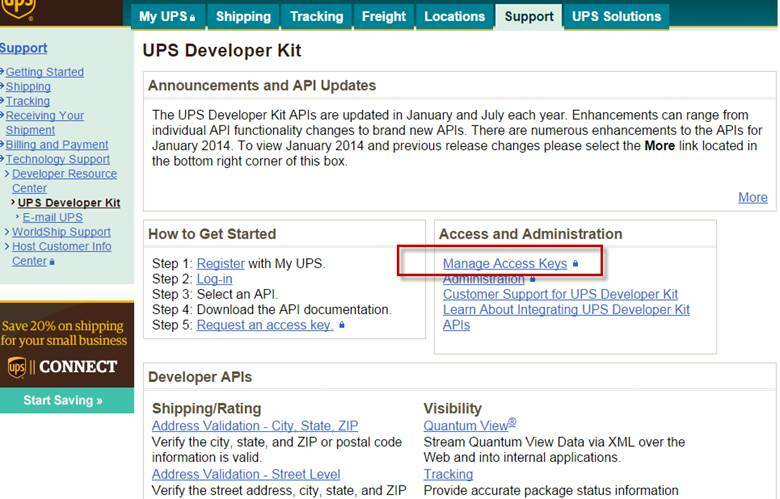 In the left hand menu click Technology Support > Developer Resource Center > UPS Developer Kit. 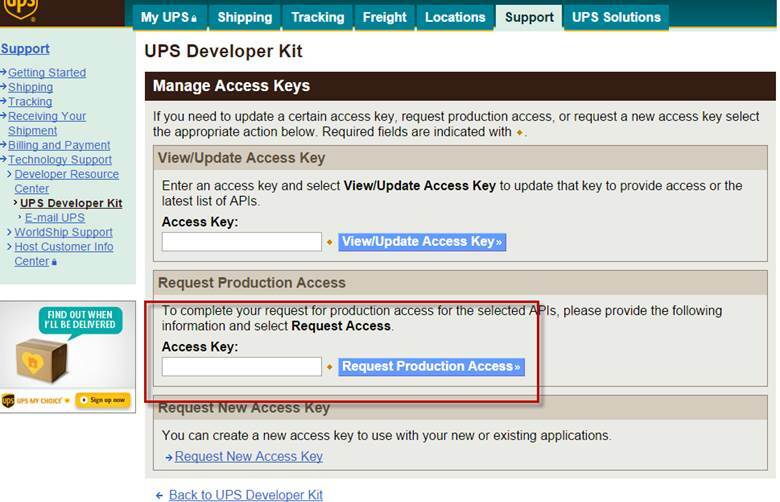 Go to UPS Technology Support -> Developer Resource Center -> UPS Developer Kit. 6. Put in your UPS account username and password. DO NOT check Active, Click Save. 8. 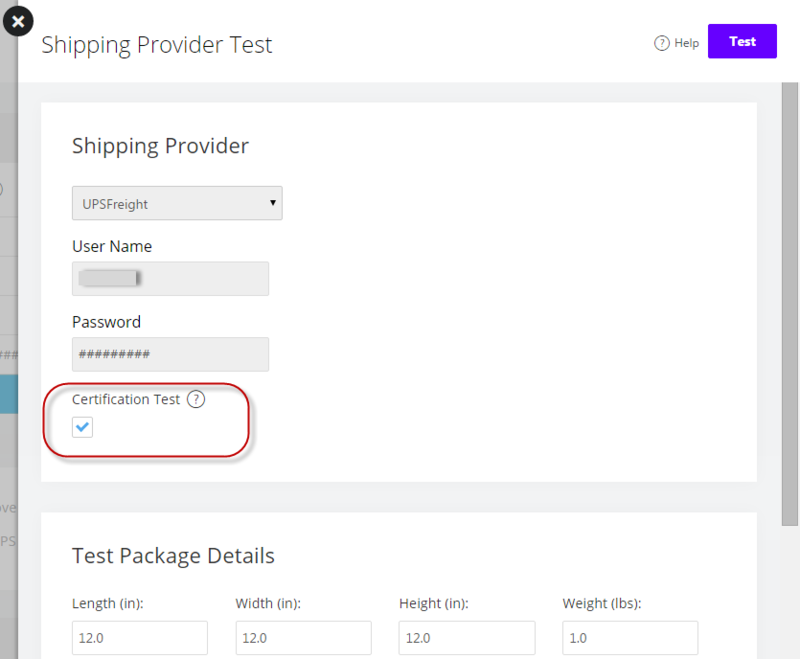 Check "Certification Test", click the “Test” button. 9. Get the amount for “Total shipping charge”. We need it to finish production access approval. 10. 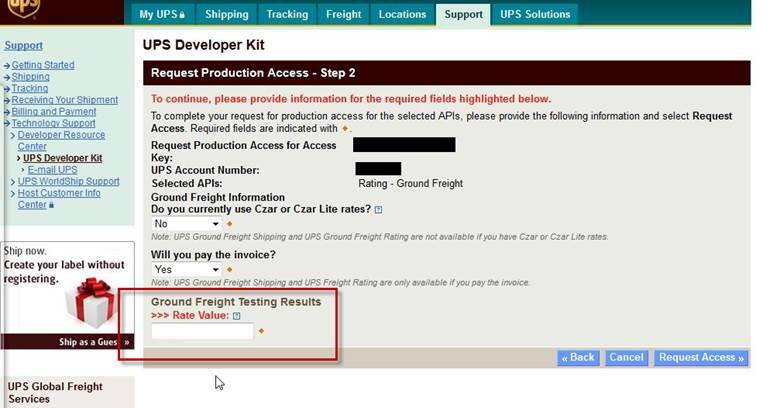 Enter the “Total shipping charge” from the certification test in AmeriCommerce in the field on UPS.com. 11. Wait for the request to be approved by UPS. 12. 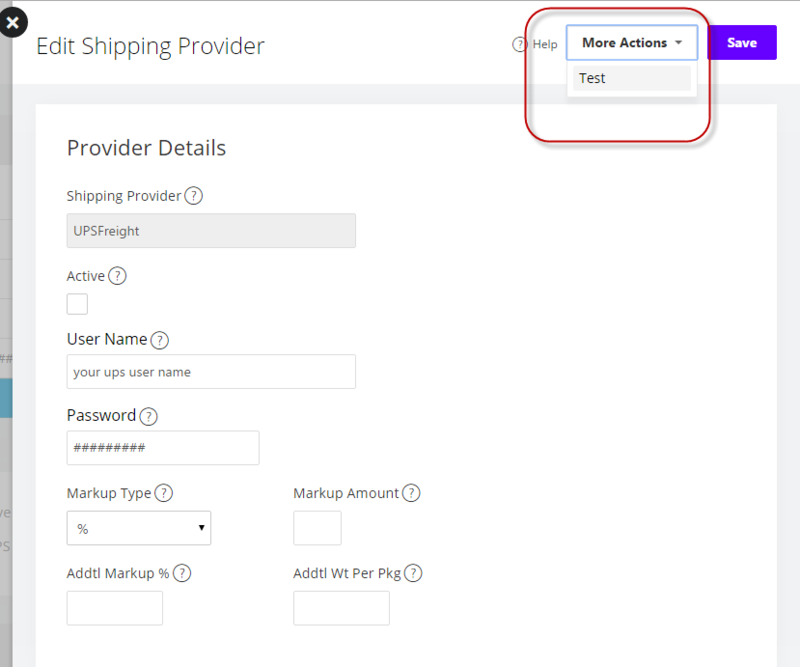 After your production access is approved, activate your UPS Freight provider in Settings > Shipping > Shipping Providers > Edit UPSFreight.